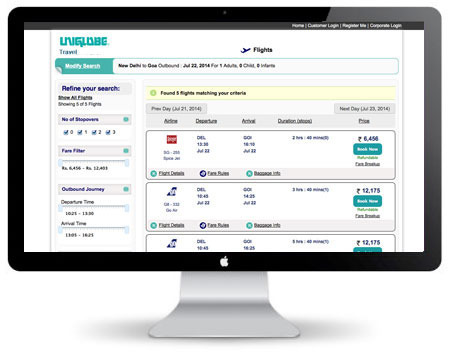 UNIGLOBE Announces Enhanced Flight Research Tool | UNIGLOBE Direct Travel Ltd.
Keeping pace with business travelers who seek fast & easy access to flight information, UNIGLOBE presents an all-new, revamped online tool for researching flights and planning trips. Keeping pace with business travelers who seek fast & easy access to flight information, UNIGLOBE presents an all-new, revamped online tool for researching flights and planning trips. 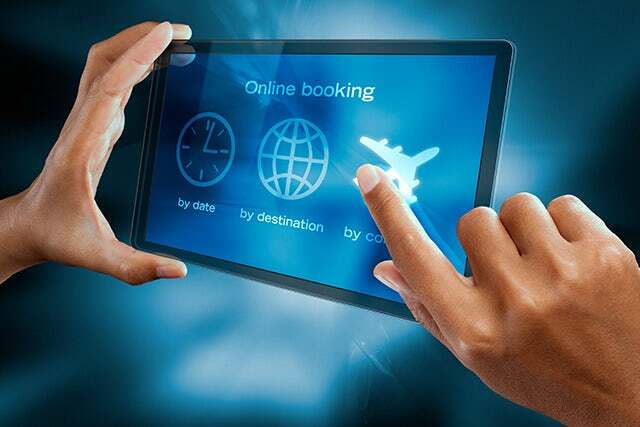 With improved functionality and a great, easy-to-use interface, travelers can quickly look up flight schedules and book flights online. “We are always looking for better and more innovative ways to serve our clients. The launch of our new flight search and booking tool is a significant upgrade to our flagship tool – Complete Access Online. With new advanced features and faster search results it is designed specifically to make trip planning easy for our busy clients,” elaborates a UNIGLOBE expert. Save money and time with this unique feature. Easily look up alternate dates that provide lower airfares to your destination of choice. Unlike other online booking tools where you need to dig deep to get hold of the lowest available fare for your date of travel. Complete Access Online now gives you the ability to sort the calendar by month and year to get directly to the date of your travel and simply select the lowest fare available on that date with just a single click. It’s fast! Save time through new and improved ‘filters’ that display flight search results exactly how you need them. On a budget? Simply define a price bracket to narrow down the results. Love to fly Lufthansa? Use the ‘airline filter’ to narrow down search results to only show your favorite airlines. Traveling on business? Try the ‘refundable flights’ filter to view only refundable flights. It’s efficient! Hate hunting around for the fine print? Our new look is easy on the eyes too! Important details such as fare rules, flight details and baggage information are conveniently ‘tabbed’ and easy to spot. It’s easy! Easily personalize your trip with your individual login. Simply setup your secure profile with your seat, meal and frequent flier details to save both time and keystrokes. Traveling with your family? No problem – you can create their profiles too! Need to record your travel history for billing and reconciliation purposes? Extract your travel records sorted by date including cancellation reports online. Yes, we thought of that too! “All bookings are fully supported by our experts to ensure complete, personalized service whenever you need it – the best of both worlds! If you haven’t seen the new UNIGLOBE Access Online yet, click here, ” recommends a UNIGLOBE expert.